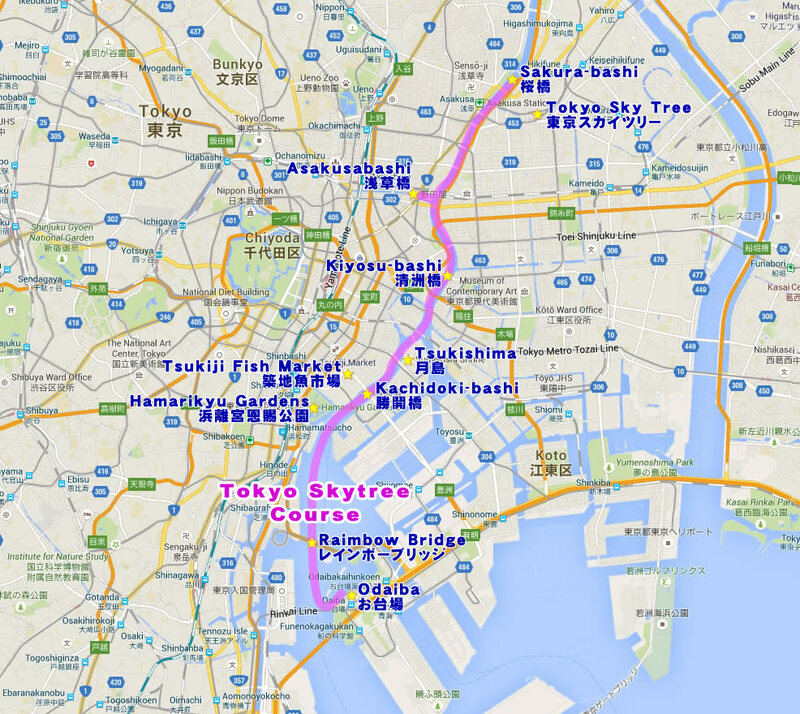 This map shows the “Tokyo Skytree Course” for Yakatabune boat cruise. During Sakura (cherry blossom) season, you can enjoy the Sakura in bloom on its river banks. 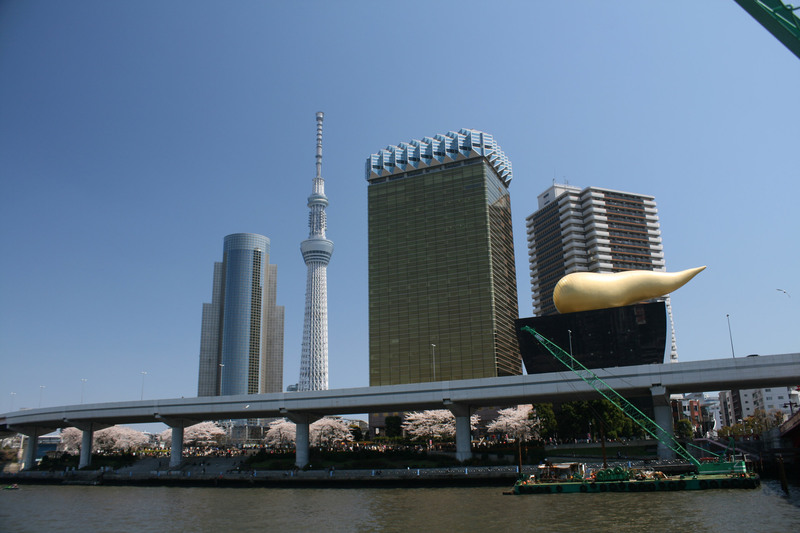 Soon Tokyo Skytree comes up. 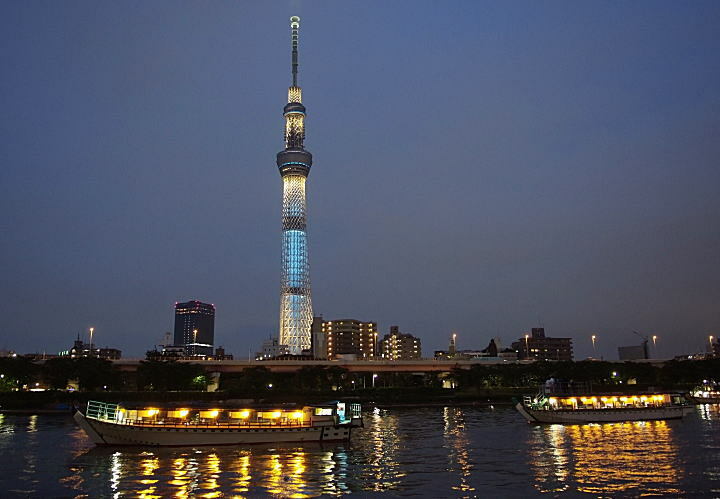 Skytree at night is also beautiful. Then, it heads down toward Tokyo Bay, the Pacific Ocean. 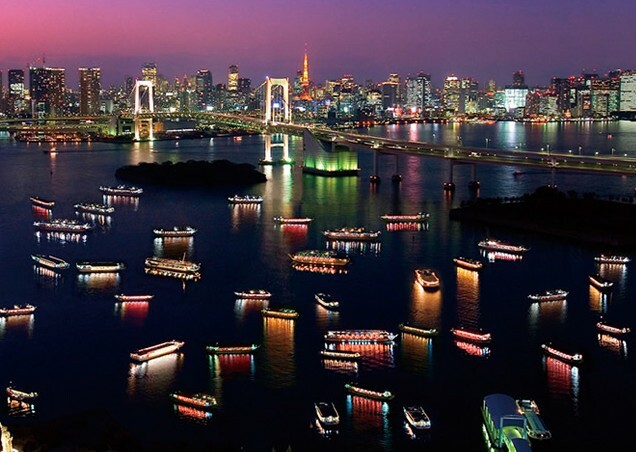 Passing below several bridges of different shapes, the Raimbow Bridge at last appears!